On iPhone/iPod touch, you can just select ‘My Passions’ from the menu, then choose category of passion. You can add new passions by touching (+) icon. You can also edit your existing passions by touching them and rewriting your passions. If you need to delete any passion, then select Edit option and touch (-) button. On iPad, you can see categories and list of passions on the same screen but the process of adding or removing passions is same as iPhone, e.g. When you initially join “Passion Investment Portfolio”, you don’t have any existing stocks, but as you play the game, you will see how your portoflio grows over time, e.g. You can view your passion companies by selecting “My Passion Quotes” from the menu. You will be able to see all companies next to each passion along with delayed quotes. Also, you will be able to see thumbs up sign if the analysts rating is buy and thumbs down sign if analysts rating is sell. You can view all the stocks you own by selecting “My Stocks” from the menu. You will also see latest quotes for those companies and gain/loss for your stocks based on market prices. If you choose to dump the stocks, then just touch “Sell” button. When you buy or sell stocks or the game buys stocks for free giveaways, an order is created. You can browse past orders by selecting “My Orders”. You can lookup any stock by symbol, name or description using “Quote Lookup” option. You can view delayed quotes, fundamental data, analysts rating and news. The “Passion Investment Portfolio” game gives away badges based on performance of your portfolio and top users are listed on the leaderboard. The “Passion Investment Portfolio” also comes with help tips and a quick way to send any feedback, suggestions and comments. You can also watch at for iPhone and for iPad respectively. Follow the app at http://twitter.com/#!/passionportfol. Over the last few years, I have been developing iPhone and iPad applications and one of recurring problem is managing how to present information in flexible way that works on both iPhone and iPad. The iOS platform uses UITabBarController to organize controllers, however it also comes with a number of limitations such as it only show five tabs on iPhone and though you can add more tabs but you have to go through “More” tab to access them. Also, it always show the tabs on the bottom and you cannot change their position. I would show how you can develop a customized tab controller that works on both iPad and iPhone and supports multiple orientations. You can customize offset of split controller by setting values for kMENU_CELL_WIDTH and kMENU_CELL_HEIGHT. Note that split view controller transforms the menu-view controller and rotates it 90″ when orientation changes to portrait so that table can be scrolled horizontally. 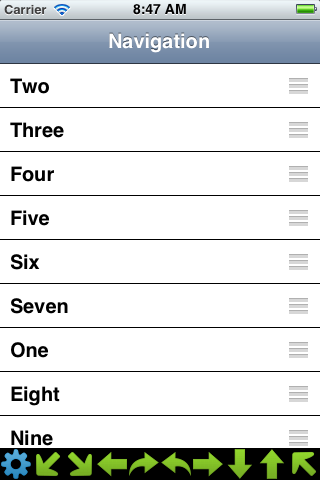 The height of cells for iPad is stretched so that you can test scrolling across the screen. The cells are also rotated 90″ when orientation is in portrait mode so that they are displayed properly on the horizontal table. Also, if you have a background image, then you will need to rotate it as well. Note that we are storing the order of tabs in the configuration and saving it when user moves the navigation items. I am not showing all code here but the full code is available from https://github.com/bhatti/SplitControllerAndCustomNavigation. I hope you find it useful. // (same as default behavior on versions before iOS 5). // kCFStreamSocketSecurityLevelTLSv1_0 configures to use only TLS 1.0. // kCFStreamSocketSecurityLevelTLSv1_1 configures to use only TLS 1.1. // kCFStreamSocketSecurityLevelTLSv1_2 configures to use only TLS 1.2. With these changes, our iPhone app was working as expected. Many thanks for Apple Engineer "Quinn", who helped resolving the SSL issues. The Trading Floor is a social game based on auction-styled stock trading where you trade virtual stocks and options with your friends and family. Each game lasts for a day, where you join a game as a stock broker with objective of buying stocks at low-price and selling at high-price, thus making most money from the trades. Unlike a real-world stock market, each game is limited to a single exchange, which can be public or private. In addition to trading, the Trading Floor brings a lot social aspects to the game such as building private exchanges, which can be only joined by your friends and expressing like-ability for a company, which determines a Buzz for the company. Also, the members can view activities for other players in a game, view their gain/loss from the trading, view ranking of the players in terms of gain/loss and comment on their trades. At the end of a game, the top players for each game are awarded badges, which are permanently visible from their profile. You can download Trading Floor from Apple AppStore. You would see listing o active games that you can join. A game is started for each exchange in the system which can be public or privately created by the users. If an exchange is private, you would require a password to join and would need to contact the owner of the exchange. After clicking the Join button the Trading Floor would allocate a virtual cash of $10,000 to you and would create a portfolio with stocks and options for ten companies, where five of the companies are chosen from your favorite companies and five companies are randomly chosen. It takes about a minute to populate all the portfolio and then you can start trading. After joining the game you can also browse other players, view activities, portfolio, capital gains, orders and badges. There are also buttons below to quickly select between players, view rankings, floor bids, comments and lookup quotes, e.g. You can see list of players that have joined the game by touching “Browse Players” option, e.g. When you select the player, you will see more details about the player and view activities, orders, portfolio, capital gains, badges, etc. as displayed above. You can specify your selling price and then select “Sell” button to submit the bid. It would take you to the Floor Bid, which lists all bids for buying and selling stocks/options. The Floor Bids show all companies available for buy or sell. When you post bids to sell or buy, the go to the floor bids. You can accept the bids that other players have posted for stock/option sell or buy on the Floor Bids. Note that when you post bids you specify the price for the stock but when you accept bids you don’t negotiate. If you need to change the price for your bids, you can edit your open orders. Also, when you trade stocks or options, you are only trading to the people who are in the same exchange. When another user accepts your bid, the sale is completed and you would collect gain/loss from the trade. You can view your overall capital gains as result of trading or portfolio gain because the market price for your stocks went up from the player details, orders or portfolio screen. You can drill deep into your capital gain and find out how much profit/loss you made for each order by selecting Capital Gains option from the home screen or selecting Capital Gains row from the player details, orders or portfolio screen. You can lookup stock/option quotes as well as latest news for the companies from Quote-Lookup menu option. You can also buy or sell stocks from the Quote-Lookup screen based on your portfolio. In addition to buying and selling stocks/options, you can express how you feel about a company by liking/disliking/loving/hating. This in turn determines the buzz quote for that company. The more players like a company, the higher the buzz quote value that company would have. Unlike buying and trading stocks/options, which are limited to a single exchange (both public and private), the buzz quote is calculated across all exchanges. However, buzz quote is reset when the Trading Floor market is closed (11pm EST). Here is another benefit of Buzz Quote, the BOT player would buy stocks from you at the Buzz Quote price. So, if a stock becomes popular you can make more profit by selling it to the BOT. You can view your the rankings of players for each game by selecting “Rankings” option which lists players sorted by the capital gains they earned, e.g. You can view comments on the game by selecting “Comments” option, e.g. You can add your own comment by selecting “+” icon and typing your message, e.g. The top players for each game get badges at the end of the game, which are permanently visible under the “Badges” option, e.g. When you select your badge, you will be taken to the old game that you played and can go back to your portfolio, orders and other details. The exchanges are places where public companies are listed for trading. You can join exchanges created by your friends or build your exchanges. A unique game is started for each exchange, where member players trade against other member players. You can view both public and private exchanges by selecting “Exchanges” from main menu . You would see three types of exchanges: mine, public and private. Mine would list all exchanges that you have created, public would list all public exchanges and private would list top private exchanges. You can also search private exchanges. You can create your own exchange by selecting “+” icon and typing in the exchange symbol, name and password, e.g. You can then let your friends know about the exchange symbol and password so that they can join them. You can view top level industries by selecting “Industries” from the main menu, e.g. When you select an industry, it would list all companies that belong to that industry. You can browse or search over 20,000 companies by selecting “Companies” option from the main menu, e.g. When you select a company, it would show latest quote, news and buzz quote for that company. Trading Floor takes advantage of your geo-location capabilities and finds companies that are located near your location, e.g. The leader board shows top players with most capital gains for all the games that they have played over last month. This option uses Game Center and requires login to the Game Center. You can post your scores to the leader board by selecting the \”Post Capital Gains\” option from the main menu. Also, you can send match invites to your friends at Game Center. In the end, I hope you find Trading Floor, a fun game for your friends and family and you may learn a few things about the stock market as well. Enjoy!. 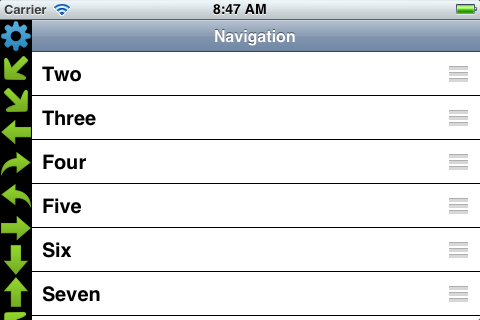 The iOS API use protocols for data sources, which then populate views such as table views, pickers and other views. In most application, your controller will be the data source but I used the data source protocols to create Wizard like behavior by implementing the data source interface in multiple classes and displaying different contents based on the state of application. The myVar attribute can only be accessed by the instance of MyClass. Other examples include JSON parsing library, which extends NSString to support JSON parsing. In addition to extension, you can also use categories for encapsulation by using categories syntax in the implementation file and adding private method and properites, e.g. Objective C supports both static and dynamic language syntax and has powerful support of reflection. This gives you powerful tool to write concise code. For example, I could not find any XML or JSON binding library for Objective C, so I built helper classes that parsed XML and JSON and automatically bound the properties to the classes that used same names, e.g. I am skipping more details but you can download the implementation from Parser.zip. Also, as Objective-C is dynamic languages, the compiler won’t complain if you call methods that are not defined, so you need to pay special attention to warnings when using dynamic language constructs or better turn warnings into errors by configuring your build. You can also use CLANG static analyzer to find improper dynamic method. Any network based iPhone app would rely on the backend network services and you would make these easier if these services are REST based. I recommend ASIHTTPRequest library, which supports asynchronous communication and concurrency. When designing an modal dialog that interacts with the backend, it helps if you show loading message or use UIActivityIndicator when making network request (even though the network request would be asynchronous). For example, the OptionsHouse app shows loading status when executing trades as it may take a couple of seconds to communicate with the server. When you are developing an iPhone application, you will learn that despite the increasing powerful hardware it’s not same as desktop, laptops or servers we have in the office. Thus, you will have to learn how to optimize every aspect of the application and one of the key factor for network application is the protocol for the payload. I used both XML and JSON based services and found that JSON parsing was at least twice as fast compare to XML. Optionally, you can use Binary format such as binary plist, which further improves the performance of parsing. An iPhone user might be connected on Edge, 3G, 4G or WiFi network and the network speed would vary. Though, you can make a general assumption that WiFi would be faster than 3G/4G, which would be faster than Edge, but I suggest that you test the speed within the app instead of relying on the connection. For example, you might be using WiFi at a local coffee shop or a conference, where the speed is slower than the edge or 3G. On websites, the network services are often behind the web server so when they are down it’s easy to post a page for network outage. You will have to handle such outages in the application and notify the users about the outages. Both methods lookup the user’s block that was passed upon request and then callback the proper block. In certain cases, I extended downloadFailed method to automatically retry the request upon certain failure types such as timeout errors. I used Gateway and Proxy patterns to wrap remote services in a local class that defined methods using local Model classes and automatically converted Models into proper XML/JSON format for requests and responses. This kept the code clean and in a few cases, I had to switch from XML to JSON, which was made in these classes and rest of application remained unchanged. As both iPlexLotto and OptionsHouse refreshed data continuously in background, I needed an efficient way to check if the data is updated on the server. HTTP provides a great way to reduce bandwidth by using E-Tag or Last-Modified headers, and we used similar techniques to send modified timestamp as part of the response and used it in future requests. The server then compared the timestamp in the request with local state and sent response only if the data was modified. A critical aspect of network based applications is handling network errors. There can be various reasons for the network errors such as phone might be in Airplane mode so no network requests should be made. In other cases network connection might be too slow or the service is down. Also, you may be continuously updating data in background and in some cases occasional network interruptions can be ignored. This requires careful consideration of the UI so that the application is smart about the environment and retries when possible instead of annoying users with popup alerts. Above timer runs every 5 seconds and polls for new data and download updates for the user. In my applications, I activated the timer when the application comes in foreground (applicationDidBecomeActive method) and disable it when it goes in background (applicationWillResignActive method). Note that this syntax is much simpler compared to prior syntax of NSTimer and NSRunLoop. When an application is in foreground and interacting with the user. When an application is on its way to background and stops receiving the events. When an application is running in background. When application is still in memory but not executing. call or SMS message) or when the user quits the application and it begins the transition to the background state. Use this method to pause ongoing tasks, disable timers, and throttle down OpenGL ES frame rates. Games should use this method to pause the game. s current state in case it is terminated later. On the older devices without multi-tasking support, applicationWillTerminate is called after applicationDidEnterBackground. The iOS SDK provides multiple ways to add concurrency support to your application. Note that you will have to create an auto-release pool before doing the actual work. Though, these APIs are simple to use but managing threads manually is harder and you have to synchronize shared data, cleanup upon termination or when the app goes in background. See Apple's documentation for more details. By far, the easiest way to add concurrency is to use Grand Central Dispatch (GCD) syntax and libraries. The GCD allows you to define tasks via function or blocks and schedules them to the available processors and automatically uses threads behind the scene. Though, it's similar to NSOperation, but the syntax is very terse and the performance is much better than using threads directly. Note that if we need to delete the queue, we must do it after all tasks are finished executed. See Apple's documenation for more details on queues. When using multi-threading explicitly or implicitly, you have to synchronize shared data. The IOS SDK provides several constructs such as @synchronized keyword, mutexes, locks, etc. to protect shared data. Nevertheless, this can be error-prone and can slowdown your application, so eliminate shared data if possible. Also, pay special attentions to exceptions within the thread method and cleanup threads upon app termination or when it becomes inactive. See Apple's documentation for more details. Also, any operations that require UI interaction must be run via main thread, though there are some exceptions such as some QuickTime APIs can be run in background. Though, you can download crash reports from the Apple website, I added automatic reporting mechanism for bug reports and crashes. I used UncaughtExceptionHandler class to handle unexpected exceptions and automatically send bug reports. I don’t try to recover from unexpected exceptions as often the memory corruption leave the application in such unstable condition that it’s better to restart the application. The iOS SDK provides several options for persistence such as user preferences, file I/O, serialization, sqlite and CoreData. I used file based serialization for caching resources and objects that implemented NSCoding protocol and used CoreData for more complexed data. I will skip file based serialization as it’s fairly straightforward, but would list some tips on CoreData. Use a single NSManagedObjectContext per thread or queue. For example, I used different NSManagedObjectContext for background timer that updated the database than the NSManagedObjectContext that displayed the table using NSFetchedResultsController. Merge changes when using multiple NSManagedObjectContext objects, e.g. The NSManagedObject with ID:#### has been invalidated. I ended up creating transient copy of the object for caching purpose. Another factor you will have to consider is what information should be kept in memory and what information can be stored in the database. In general, if the data is small or frequently updated such as stock quote, I kept it in memory, however if the data is large and less often updated such as stock positions, I kept it in the database. In addition, I used the database as interface between UI and network, so the data would get updated asynchronously in background and stored in the database. The network code would then fire an event, which the UI subscribes and would then update the view from the database. This provided fast and efficient way to view large amount of data without waiting. Performance is a key part of usage experience. Apple provides a number of tools such as Shark and Instruments to measure performance bottlenecks as well as investigate memory leaks and CPU activity, file I/O, database and other issues. You need to start measuring the performance on real devices early in the application lifecycle so that you can design the application properly. Use properties and synthesize keywords to automatically generate proper accessors/setters. When assigning properties within the class use the syntax “self.property = aproperty” instead of “property = aproperty” so that you invoke your setters properly. Use retain and release instead of dealloc method. Use retain for all object references. Use assign for primitive references. Use copy for String types, GCD blocks and other instances where you want clone of the objects. Use assign when you are using delegate pattern to hold another controller for callback so that you don’t end up with cyclic references. Use AutoRelease Pools for separate threads. Use auto-release objects sparsely, for example if you only need an object in a method or a block and then just allocate it at the beginning and release it at the end (possibly in finally block of try-catch). If a method name begins with alloc, copy, or new, then you must return allocated instance and caller would own the reference, otherwise you must return an auto-released object. Use Memory-Leak detection feature of Instruments to find the objects that are not properly released. You can set NSZombieEnabled flag to true on your executable, which can help track the memory leaks when the app crashes. Finally, multi-threading further complicates the memory management. For example, you may pass auto-released object to another thread and by the time that the thread uses it, the first thread’s auto-release pool released it. So, you must retain the object in separate thread before processing it. Though, iPhone Simulator is fast and easy way to test the application during the development, but there are significant difference between the iPhone Simulator and real devices. First, many of the APIs such as Location, Apple Store, Accelerator, Email are not supported on the Simulator, but most importantly the Simulator runs on blazing fast MacPro machine, whereas real devices are slow and limited. I highly recommend start your testing with real devices early in your app lifecycle. There is also a big difference in hardware between different generation of iPod touch, iPhone and iPad. For example, iPhone 3G has 620Mhz processor with 128M memory, iPhone 3GS has 833Mhz with 256M memory and latest iPhone 4 has 1Ghz with 512M memory. I suggest using older devices to really find performance and stability issues with the application. Also, you want it to run on most devices so you should target lowest device that you can, which you can configure it by setting target OS property of the build. Though, Apple provides basic Unit Test support, but I found it very painful to use. We have used the UI Automation tool for functional testing with some success, but it lacks good documentation. In this blog, I listed several techniques for designing and developing iOS applications, though most of the techniques can be easily applied to other mobile platforms. Though, hardware on mobile devices is becoming more powerful, but it is still constrained with limited memory. You have to pay an exceptional attention to the memory usage, performance and stability of the app and users are going to hate if it’s slow or crashes. The network apps have to further address the availability and speed of the network so that apps is not completely unusable in airport mode and with slow connection. In the end, testing on real devices and real environment is the key to create effective network based applications. 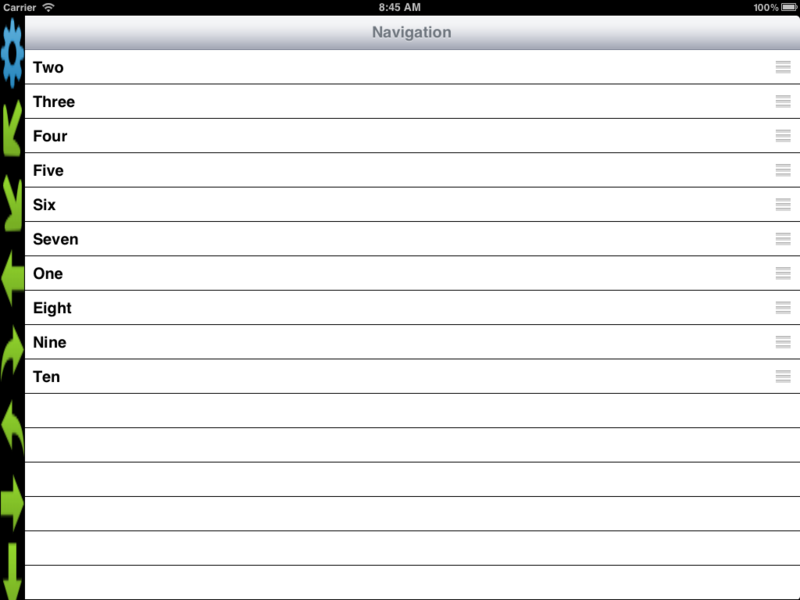 Recently, I added the remote push capabilities to an iPhone/iPad application at work. It turned out to be a bit more involved process than I expected so I would document key steps of the process. The alert key defines the contents of the message, which is displayed to the user. You can play sound by specifying the sound filename (which is already bundled with the app), however you can leave it blank or use ‘default’ for playing default sound. Finally, the badge will allow notification to show a number next to your application icon. Also, you can optionally add action buttons that can take user to a particular screen in your application (though I won’t show it here). You can read Apple documentation for more inforamtion on the binary format. I assume you have already created an application with developer certificate, app-id and provisioning profile. However, Apple Push Notification requires another set of certificates for development and production. So, login to the iPhone developer site and select iPhone Provisioning Portal from the upper right side and then choose App IDs link. It will guide you through creating certificate, where you will have to create a certificate request by opening “Keychain Access”, then selecting “Certificate Assistant” option from the menu and choosing “Request a Certificate from Certificate Authority”. You can then upload the generated request file to the portal. Once the certificate is generated you should see the option to download the certificate, e.g. After downloading the certificate, you can double click or drag it to the “Keychain Access” and it will add the certificate to the Keychain. I used Rails on the server side, so I defined a few models and controllers to store devices and messages, where the device model had an attribute ‘token’ and the message model had three attributes: alert, badge and sound. Each device also has an attribute deactivated_at, which is set to the date when the device is disabled. Next, I created a short Ruby library for sending notifications. The library provides two methods send_message for sending notifications and get_feedbacks for checking disabled devices so that you can remove them from your database. The send_message method accepts a message model as an argument and then opens a connection to the APNS service. Apple recommends using a single connection for publishing notifications to all devices, so it adds all devices within a single a connection. You can use delayed_job plugin to run the get_feedbacks method periodically. Also, I added a service for registering and adding the devices, which is called from the iPhone devices (but not shown here). I used ASIHTTPRequest library for invoking REST service I wrote for registering devices (on Rails side), e.g. In nutshell, push notification is powerful feature that can help your users engage with your application, though it must be used with caution so that users are not annoyed and in turn remove your application or disable it. It also requires a lot of moving parts for sending notification, registering, getting feedback on the devices. I found that Apple does not provide a great debugging options when testing the push notification. For example, first problem I encoutered with testing was that my profile on XCode was old and wasn’t updated after I enabled push notification. I had to delete my old profile and then refresh it from the Organizer. Also, when you send notifications to the APNS, you don’t get any response code or errors. This caused some frustration when I wasn’t getting messages due to slightly wrong JSON format. Fortunately, when your device is connected you can select the device from the XCode Organizer and view the Console tab for debugging information. I was able to view the error (which a bit vague) and then got everything working after fixing the JSON structure. Note that the receipt returned by iPhone APIs is not base 64 encoded so you will need to encode it before calling the service. Also, for testing, APPLE_RECEIPT_VERIFY_URL will point to the sandbox environment, i.e., https://sandbox.itunes.apple.com/verifyReceipt and for real purchase it will point to https://buy.itunes.apple.com/verifyReceipt. Finally, you can learn more from the Apple documentation on purchase model and on validating receipts. I have been learning iPhone development lately and needed to add some persistence capability to my application. There are varied options available for persistence such as using “User Defaults” for small user specific settings, serialization similar to serialization or pickle features of other languages and builtin support of embeded Sqlite. I found Sqlite more performant, memory efficient and flexible than other options so I chose it. Using Sqlite with iPhone is fairly straight forward and there are tons of examples such Creating Todo list using Sqlite. However, when I looked for some O/R mapping framework for iPhone, I found that iPhone SDK unlike Mac development didn’t have any support and neither I could find any other solution elsewhere. So, I started writing a simple O/R mapping library based on Active Object pattern. This is similar to how Rails and Django implement O/R mapping. Based on convention over configuration, it simply maps object properties to the database table fields. At this time, this is very basic O/R mapping library and does not support relations, validation, database integrity support, etc. Nevertheless, it met my simple needs and I have released it as open source project under OCActiveObjects on GitHub. Above method defines name of table where instances of the object will be stored. Above method must be called once before any other methods, usually at the start of your application. Above method must be called once before you shutodnw your application. named “objectId”. This is another example of convention where all tables will use a numeric surrogate key to identify each row. database. It assumes that name of database fields are same as property names, though you can override that behavior by overriding _getPropertyNamesAndTypes Class method. Above method queries an object in the database matching objectId property, which identifies each object in the database. “AND” clause. There is a immediate need to extend this to support more flexible queries. Above method returns all objects, which may not be good for iPhone application due to limited amount of memory. This is another area that needs immediate attention. 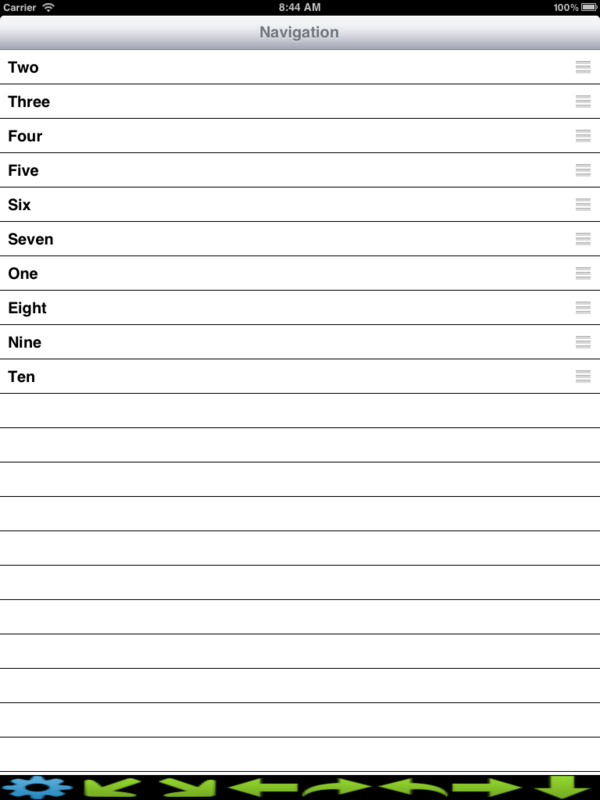 Above method removes all rows in the table so be careful with this. Above method removes only methods matching criteria. Again criteria consists of name/value pairs. Above method counts the number of rows in the database matching criteria. Above method returns count of all rows in the table. Above method inserts an object into the database. Above method updates an existing object into the database. You can override above method to change properties that needs to be persisted. Above method generates an SQL for creating table. Above method generates an SQL for inserting a row in the table. Above method generates an SQL for updating a row in the table. Above method generates an SQL for selecting fields from the database. Above method creates database table. The OCActiveObjects library uses some Objective C magical runtime support to query for properties and this class encapsulates those methods. This class some helper methods for Sqlite3. In order to test it, let’s define a simple Person class that extends ActiveObject, e.g. Then you can first open the database, e.g. Then create a new person object, e.g. Though, there are some basic tutorials like Test Driving Your Code with OCUnit or OCUnit: Integrated Unit Testing In Xcode, but they didn’t help. I also tried adding google-toolbox-for-mac but macro errors are extremely frustrating. Besides better testing, OCActiveObjects needs a lot of help to add better support of criteria, paging, relational mapping and validation. I also had hard time figuring out how to create a static library until I found Building static libraries with the iPhone SDK though I still need help in adding framework level support. Hopefuly, other people can contribute to the open source project. You can send me your suggestions and comments as well via email “bhatti AT plexobject DOT com” or tweet me at bhatti_shahzad.